The above quote is one of fashion’s most famous for a reason – it’s true. Following trends and looking “of the moment” is fun, but it’s even more important to understand the style rules that stand the test of time. Classic fashion icons like Audrey Hepburn, Marilyn Monroe, and Coco Chanel aren’t revered today because they were fashion victims who only wore the latest clothes. Instead, they understood basic, indisputable fashion rules and how to use them. Instead of talking about the latest trends, today I want to focus on something more lasting – a list of 10 fashion tips that will never go out of style. I’m sure none of these rules are brand new to you guys, but since we’re always talking about trends, I thought it would be nice to remind ourselves what real style is. 1. The hourglass figure is forever in. Marilyn Monroe knew this rule best – her curvy hourglass look has had men lusting after her and women wanting to be her for half a century! Marilyn’s look has forever solidified her as one of the sexiest woman in history. Learn from Ms. Monroe and realize that the hourglass shape is always flattering on any woman. When in doubt, look for clothes that nip in at the waist and draw attention to that area. Not blessed with Marilyn-esque curves? Fake it with a great belt or high waisted skirt. 2. You can’t go wrong with a little black dress. 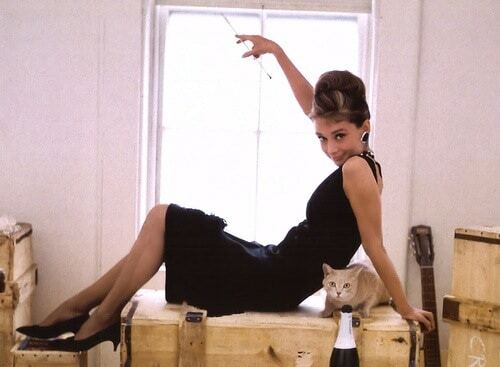 If you only learn one thing from the movie Breakfast at Tiffany’s, let this be it. Ever since Audrey Hepburn sported that iconic raven Givenchy frock, the LBD has become a closet staple for every woman. If you don’t own a little black dress yet, what’s stopping you? These dresses are always available in stores – I’ve found cute ones at H&M, Target, and even occasionally Forever 21. If you want a piece that will stand the test of time, however, you’ll have to veer away from the discount shops & spend a little more for a dress that’s well-made. The extra dollars and effort will pay off, though, when you have that dress for the rest of your life. 3. Don’t be too perfect. Kate Moss exemplifies this rule – she always looks amazing and NEVER comes off like she tried too hard. No matter what she’s wearing, something about her look is always “off” – her hair will be a mess, her shoes won’t match, or she’ll leave something unbuttoned. The best part? Instead of looking bad, she actually looks BETTER and more stylish than if she was perfectly coiffed and buttoned up. So take a hint from Kate and give up the quest for perfection once in a while. First of all, it’s useless – no one is perfect and no one will EVER be perfect! Second, imperfection is HOT in fashion. Whenever you get dressed, make sure something is off and you’ll score extra style points. Society likes to try and convince us that we should all look like Barbie – tall, thin and baby-faced, with doll-like features, flawless skin, and 36D breasts. This is such crap! 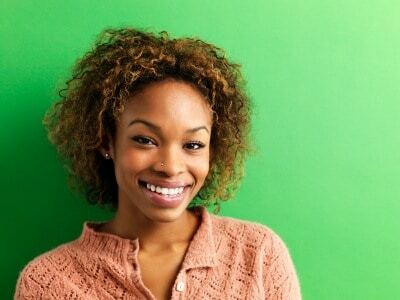 In reality, the ways that we differ from the “beauty ideal” are what truly make us beautiful. Think about all the famously gorgeous women who have embraced their “imperfections” – Cindy Crawford and her mole, Madonna and her gap teeth, Grace Jones and those amazing cheekbones, Cher and her nose, and the list goes on! Can you even imagine them without those unique features? It’s hard to do, but just thinking about it makes me laugh – they would all look so BORING! 5. A large, dark pair of sunglasses will hide a multitude of sins. Another style lesson you can learn from the movies – big, fabulous, dark sunglasses are your best friend during dire fashion emergencies. Didn’t get enough sleep? Don’t feel like putting makeup on? Sunglasses are a quick, easy fix. No one has to know about your late night! Even better, they always add a dash of sophisticated glamor to any look. If you simply want to feel a little more like a star, slip on a dark pair of shades and some pearls and do your best Jackie O impression. As Coco Chanel once said, “In order to be irreplaceable, one must always be different.” In high school we’re taught to follow the crowd and strive to fit in. 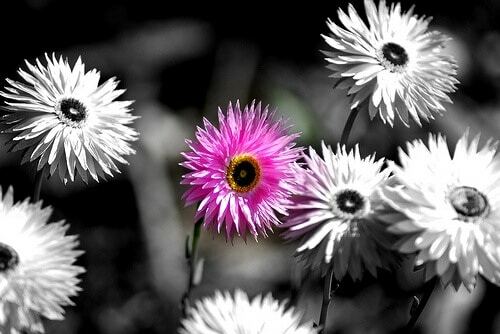 In the real world, being different is the key to success in almost every area. Contrary to what most of us learn in our formative years, uniqueness is an asset. This is true in fashion and everywhere else in life. So what is it about you that makes you unique? What traits do you have that no one else does? How does your style differ from the girl sitting next to you? Think about those traits and strive to make them MORE pronounced, not less. For more on embracing your uniqueness and finding your own style, see 7 Ways to Create a Wardrobe That’s Uniquely Yours. An eternal staple of American fashion, a good pair of jeans is one fashion item that will never die. From Kate Moss’ Calvin Klein Jeans ads (who didn’t want a pair of those jeans?) to James Dean in Rebel Without a Cause, the man who officially made jeans badass, denim has taken on so many forms over the years. The eternally stylish Jackie O (pictured above right) showed us the chicer side of denim. It’s the one fabric that has never fully gone out of style. Today, denim is practically a daily uniform, and would you really have it any other way? As Diana Vreeland once said, “Blue jeans are the most beautiful thing since the gondola.” I tend to agree. 8. Be who you want to be & reinvent yourself. There are no limits to who you can become in life. 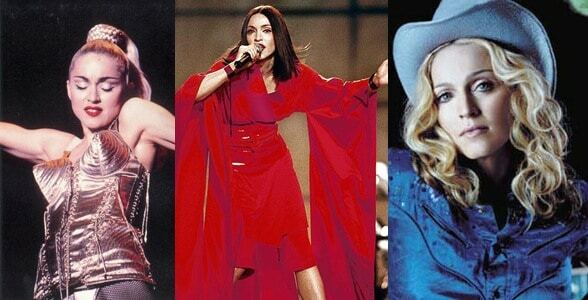 Madonna, dubbed the “queen of reinvention” by many a critic, has transformed herself numerous times over the years – from a platinum blonde material girl to a wannabe geisha to a rhinestone cowgirl and back again. Her style always keeps us guessing, and that’s part of what draws us to her. There’s no rule that says you need to dress only one way or strive to fit any mold. Why simply settle for being average? Take action and don’t be afraid to dress the way you want and transform yourself into whoever you want. Be an ingenue one day and a femme fatale the next, if that’s what you feel like doing. Dream big and let your style reflect who you are and who you want to be at the same time. 9. Simpler can be better. While the bag lady look may certainly be fashionable, in truth, you don’t need layers and layers of clothes to make a statement. The simplest, most basic outfits are often the best, most memorable ones. 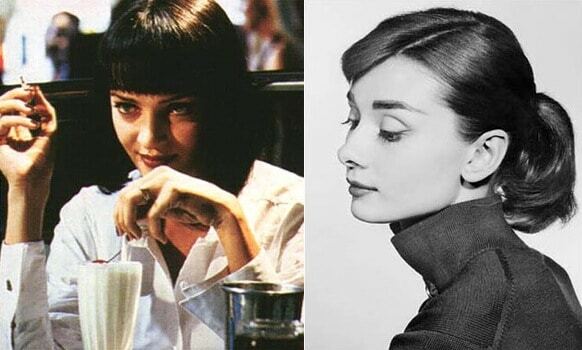 Think about fashion’s most iconic looks – from Audrey in her little black dress to Uma Thurman in Pulp Fiction. We remember those looks not because the clothes were amazing, but because the people wearing them had personality! Sometimes it’s nice to keep your outfit simple. It offers you the chance to let your personality shine through, whether it’s through your amazing cocktail ring that suddenly stands out or the smile on your face that’s no longer overshadowed by an overdone outfit. Remember: you’re the one who wears the clothes – they should never wear you. 10. Confidence & a smile are your most fabulous accessories. Do I need to explain this one? If the fashion and beauty icons of the past and present could teach us only one thing, this would surely be it. All the clothes and beauty products in the world mean NOTHING if you’re miserable and uncomfortable in your own skin. Love yourself, be confident, smile, laugh, and never take life too seriously – those are the true ingredients of lasting beauty and style. Everything else is just the icing on the cake. These fashion rules have stood the test of time, but I’m sure there are plenty of others that I didn’t include. What are some of your favorite timeless fashion tips? What have you learned from classic fashion icons? Share your tips and thoughts in the comments section!